Experience, integrity, and a passion for the boating life best describes Florida West Coast Yachts. We are located in downtown St. Petersburg, Florida, a prime boating area for buying, selling and outfitting yachts of all sizes. We can help make your boating dreams a reality by finding that perfect vessel to suit your needs and your budget. When we decided to buy a boat and sail around the world, we weren’t sailors. Our knowledge and experience was all from the research we had done by reading review, articles, and blogs. David Foster appeared seemingly out of nowhere, he became our buyer's broker who's up to this day has continued to check in with us to make sure that we achieved our dream of sailing around the world. David, as our buyer’s broker, helped us every step along the way to inspect, survey, negotiate, buy the boat, and then prepare her for long distance cruising. Usually, sight unseen is a bad idea for just about everything when buying most anything. But when it comes to yachts and the employ of FWCY, I was free to be as reckless as possible. I was in Miami FL completing a sea trail on a boat I had found through a broker. The sea trail wasn’t going well so I decided to keep looking. I called David Foster about a sailboat he had listed in St.Pete at the Municipal Marina. David gave me very thorough details on the boat and it sounded like what I was looking for. I thanked him and said I would keep it in mind. The professional team of Yacht Brokers at Florida West Coast Yachts has many years of combined experience in Sail and Power. We have practical on the water experience. In addition, we have all been involved in boat maintenance and upgrading yachts for day sailing, racing, or cruising. With a wealth of sales experience, from over 35 years in the packaging industry, he not only understands boats, but also understands what it takes to service a client’s needs when buying or selling their vessel. Though he has a preference for sailing, Bob is equally comfortable on power vessels, as well. He can help promote your vessel to sell, or help you locate the boat of your dreams. 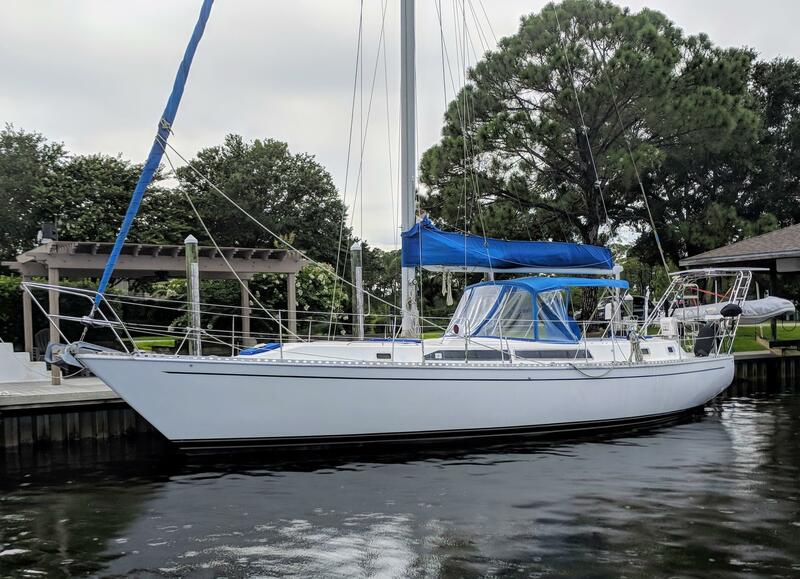 With over 30 years boating experience in both power and sail, contact David Foster if you are looking for a boat and need a buyer’s broker or you are needing to list your boat.